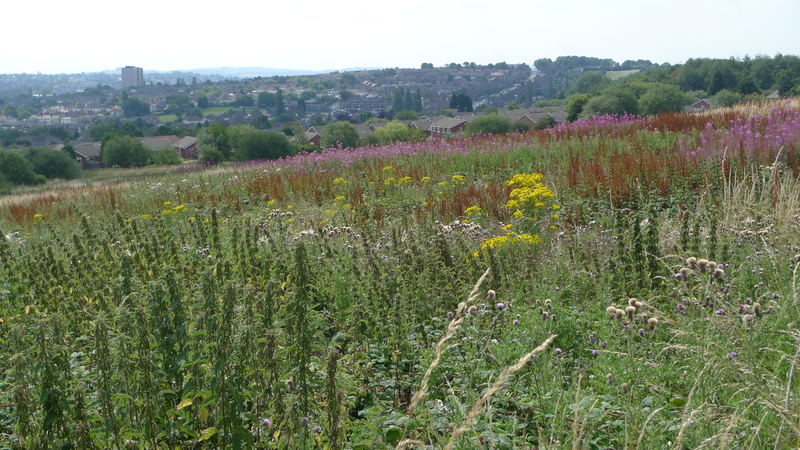 Over 180 plant species have been recorded so far in the Rowley Hills, and they are particularly rich in wildflowers and grasses, which provide habitat and food for a huge range of insects including many beautiful butterflies and moths. This diversity of plants is due in part to the site’s history; it was used as landfill after the quarries closed down, and once they had been filled, a cap of topsoil was put on top and nature was left to reclaim the hills. The relatively shallow topsoil prevented deeper-rooted plants such as shrubs and trees from being able to grow, so only plants with shallower root systems such as grasses, sedges, rushes and flowering plants could flourish. 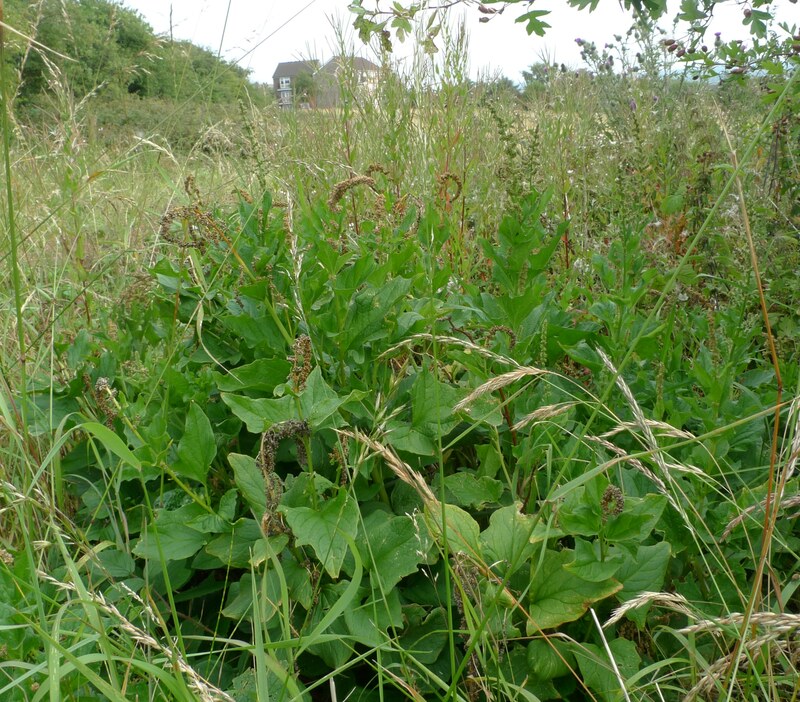 This has meant that the grassland has persisted for an unusually long time and scrub has been slow to develop; these stable conditions will have promoted the establishment and continued existence of the important Marbled White butterfly colony. That’s why it’s so important that we manage the scrub that is slowly encroaching into the grassland today. 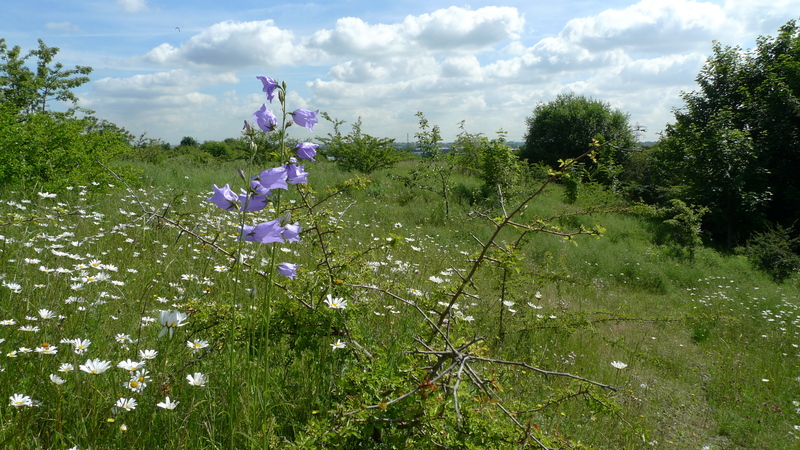 A walk through the Rowley Hills any time throughout spring or summer will reward you with an abundance of attractive wildflowers; these will vary depending on the season. You can see lavender-blue Harebells nodding in the breeze, fuzzy-headed Hare’s-foot Clover, clouds of Oxeye Daisies, pink and purple vetches scrambling over the grasses and Common Knapweed, particularly loved by butterflies and moths. If you are really lucky you might even find a Bee Orchid. 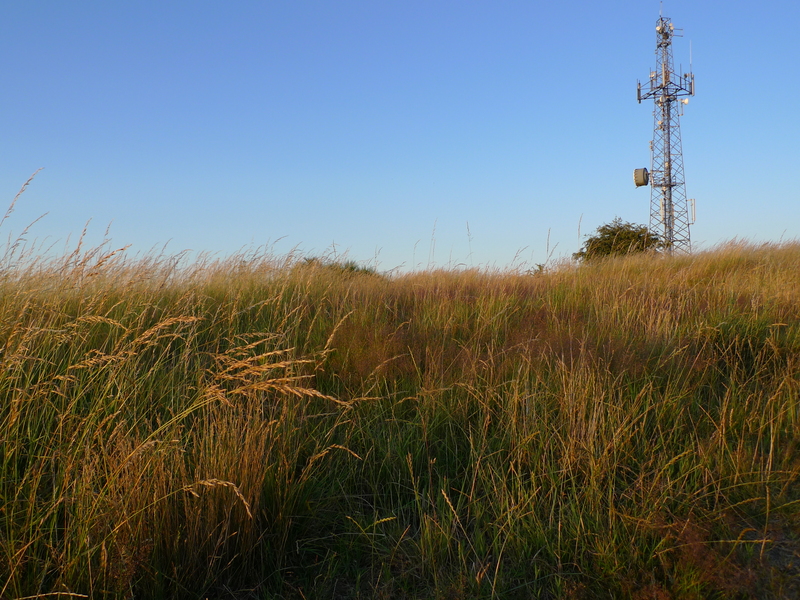 Grasses are just as important as flowers for moths and butterflies, and species growing in the Rowley Hills include False Oat-grass, Crested Dog’s-tail, Smooth Meadow-grass, Timothy, Narrow-leaved Meadow-grass, Early Hair-grass and Rough Meadow-grass. 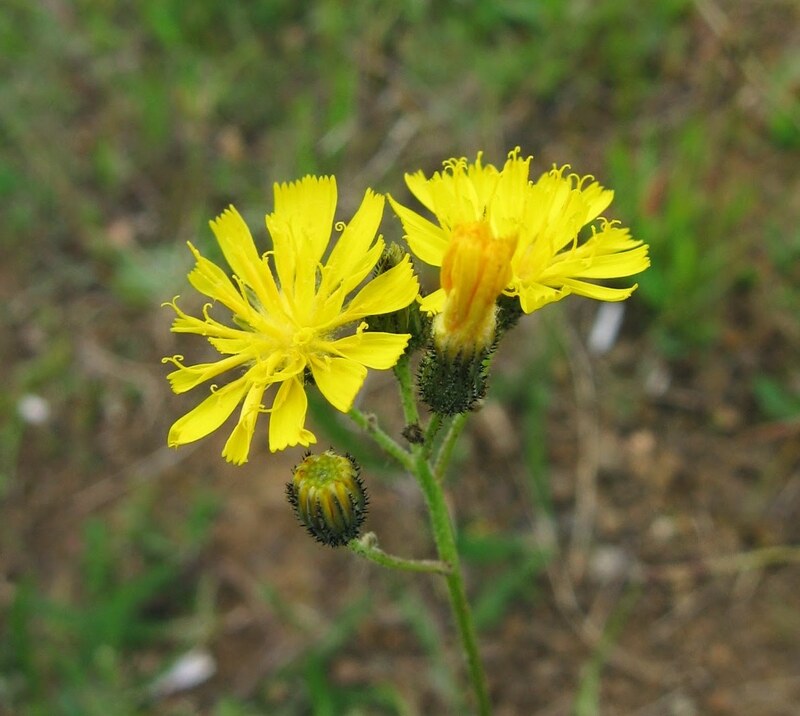 There are several plants present which are of particular significance within Birmingham and the Black Country – Good-king-henry (Chenopodium bonus-henricus), Tall Mouse-ear Hawkweed (Pilosella praealta), Burnet-saxifrage (Pimpinella saxifraga) and Smooth Tare (Vicia tetrasperma). If you want to get to know the plants come and see them for yourselves – these lovely photos have captured just how beautiful our wildflowers are when you take a proper look!